Considered one of the most picturesque villages in the Provence, Gourdon is situated on a hill top perch in the Alpes Maritimes region of the Provence, France. 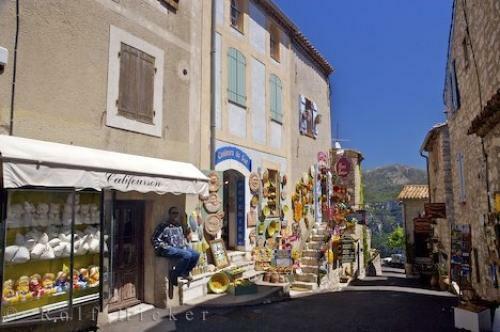 Villa and shop - La Poterie de Gourdon in Rue Basse in the village of Gourdon, Alpes Maritimes, Provence, France, Europe. of Gourdon, Alpes Maritimes, Provence, France.